Visitors are prohibited from bringing the following items onto the Nasher Sculpture Center property: weapons and tools including firearms, knives, cutting tools, realistic replicas of firearms, disabling chemicals like mace, pepper spray, tear gas, chlorine, liquid bleach or compressed gasses or other potentially dangerous instruments; armaments or devices which can cause bodily harm to visitors, staff, or others, and/or physical harm to Nasher Sculpture Center Property; or any items specifically prohibited to possess as per Texas State Penal Code 30.06 and 30.07. Do you allow food and drink? With the exception of food and drinks that may be purchased and consumed in the Nasher Cafe by Wolfgang Puck serving area and other designated areas, we do not allow outside food and drink to be brought into the museum. Eating, drinking, or carrying food/drink items in all gallery areas is strictly prohibited. Smoking, including smokeless electronic cigarettes, is strictly prohibited anywhere on museum property, in front of the museum entrance or inside any exhibit area. Yes, however flash photography is not allowed in the museum. Photographs of special exhibitions, or art works on loan are subject to the approval of the Curator. The use of tri-pods and selfie sticks is not allowed in the museum. Do you offer tours on the weekend? Yes. A drop-in docent tour is offered at noon every Saturday except the first Saturday of the month. Family tours are offered during our Target First Saturday series. Exact times can be found on that day’s schedule. Drop-in tours for groups under 10 people are complimentary through the Museum Ambassador Program on Friday through Sunday, based on availability. Do you offer reciprocal entry with other museums? The Nasher accepts American Association of Museums, International Committee on Museums and Texas Association of Museums cards. We also accept members of the Texas Reciprocal Member Program and the Guggenheim ArtPass. Do you offer free admission? We offer free admission for Members, each Target First Saturday, Til Midnight and for various special events throughout the year. How many guests may a museum colleague bring in? An employee of another museum or member of AAM, ICOM or TAM may bring two guests. Will rain impact my visit? A considerable portion of our galleries are located inside. To enjoy the outdoor galleries in the rain, we have a number of umbrellas on hand. (Available upon request. Quantities limited.) Umbrella stands and bags are positioned at both front and garden entrances. Must visitors pay the entrance fee in order to dine at the cafe? Visitors that are non-members must buy a ticket to the galleries in order to gain access to the cafe. We are closed every Monday as well as Independence Day, Thanksgiving Day, Christmas Day and New Year’s Day. Can visitors take professional pictures (such as engagement or graduation photos) in the garden? Yes. However, all professional photography must be scheduled through our Private Events department at events@nashersculpturecenter.org or 214.242.5182. What is your policy on luggage? No luggage, including small carry-on and oversize backpacks, is allowed in the galleries or garden. These items may be checked into the museum’s unsupervised cloak room at the front desk. The museum reserves the right to have a discretionary policy regarding what can and cannot be allowed in the galleries. Questions about the luggage policy can be referred to the Security office at 214.242.5130. Membership cards take 2-3 weeks to process. 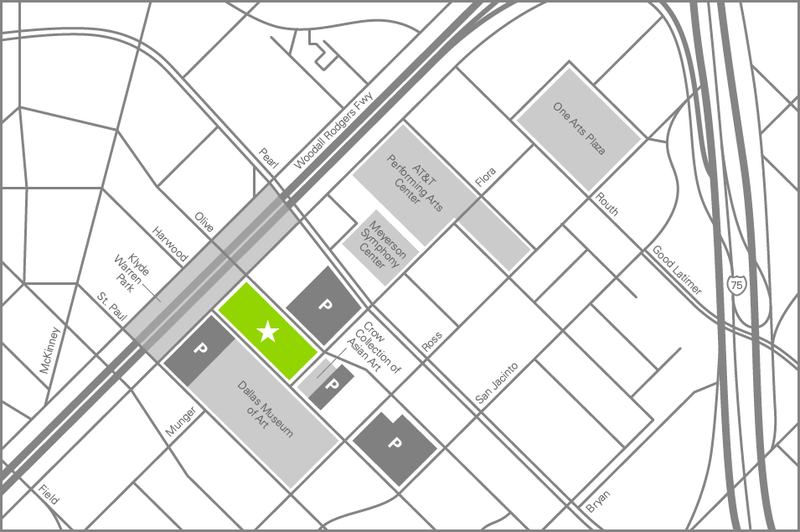 Ground level paid parking lots are located at Olive and Ross and Olive and Flora. How do I contact the Membership Department with questions or feedback? Call 214.242.5151 or email membership@nashersculpturecenter.org. Can I pay for my Membership with a gift from my charitable trust, foundation or donor-advised fund? Yes, you can, but these types of gifts carry certain restrictions. Please contact our Patron Relations Department at 214.242.5169 or email rwatkins@nashesculpturecenter.org for more information. With the exception of the Gabo Circle Membership, Nasher Memberships Hepworth and above allow you to admit two additional guests. Children under 12 always enjoy free admission to the Nasher Sculpture Center. How many guests can I bring to Member parties? Your Nasher Membership admits two adults to member parties. For a more detailed explanation, see above. When will I get my Membership Cards? How can I get information about what’s happening at the Nasher? One of the benefits of Nasher Membership is a free subscription to our semi-annual newsletter and monthly e-newsletter. These publications detail our exhibitions, educational lectures, parties, public events and much more! Sign up for our e-newsletter. For up-to-the minute news and event information, access our online Calendar of Events. What are the guest passes I received as part of my Membership? As a benefit of certain Membership levels, we send one-time-use guest passes in the mail. 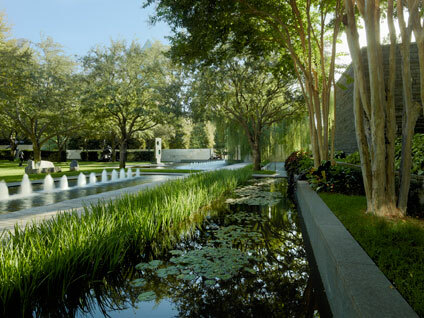 These passes are valid for a one-time admission to the Nasher during regular museum hours. As a member, you can distribute these passes to friends, family or colleagues, and you do not need to be present for a friend to use the pass. These passes are not valid for members-only receptions or other members-only events. Does the Nasher have reciprocal Membership benefits? How do I waive my Membership benefits? If you are joining or renewing your Nasher Sculpture Center membership and would like to waive your benefits, please call 214.242.5151 or email membership@nashersculpturecenter.org. Please note that if you waive your membership benefits, you will not receive Membership cards, our newsletter or invitations to Members-Only events. What is the Nasher Avant-Garde Society? The Avant-Garde Society is a special interest group available to Nasher Members at the Calder Circle Level or above. Members are invited to quarterly events, member engagement opportunities and day-trips planned and organized by an Executive Committee of fellow members. See Enhanced Membership Benefits or the Avant-Garde Society for more information.